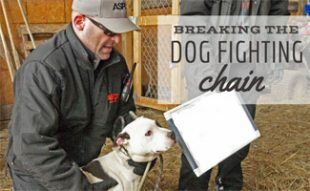 When people think about animal cruelty, their minds usually start with an image of a dog chained up outside in the cold without any food, or some kind of dog fighting ring where pit bulls are raised to viciously attack one another. The truth is, there are millions of animals that are being abused by people who aren’t actually intending to do the wrong thing. Animal cruelty includes but is not limited to abuse, neglect, animal testing, misinformation and sheer ignorance. There is a lot of good being done to stop animal cruelty, but there are also those who are willing to turn a blind eye to animal testing when it comes to their cosmetics or look the other way when they see an animal being abused. Read further to learn more animal cruelty facts. The question that usually comes up is, Why do humans abuse animals? The sad truth of the matter is that there is no targeted reason people do what they do. Instead of treating animals like they are living creatures with emotions and feelings, some people view them like throw-away “things” that are put here for their pleasure. Animal abuse is not isolated to any specific gender, race, or demographic. 5% of animal abuse cases involve dogs. Many states do not consider livestock in their cruelty laws. 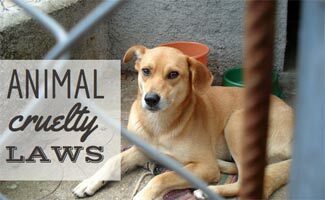 There is no federal cruelty law when it comes to animals. Instead, cases are handled on a state by state basis. Animal testing is another area that people are quick to dismiss. We see makeup companies conduct testing on animals, and we think they are putting lipstick on monkeys – how much harm does that cause, right? The truth is, animal testing is a much more cruel and inhumane practice that kills or seriously injures many types of species. Animal testing results in helpless creatures being burned, crippled, poisoned or even sometimes killed. There is no truth to the idea that the U.S. Government requires cosmetic testing to be performed on animals. It’s not just rats that are being used in product testing. Rabbits, mice, birds, amphibians, as well as dogs and cats, are all tested on. 66,000 dogs and 21,000 cats are subjected to testing every year. It’s not just makeup. Testing includes subjecting animals to pharmaceutical drugs, carcinogens and even involves killing pregnant animals and conducting tests on fetuses. Animal rights vary from state to state, but they all reflect similar principles. Animal rights extend beyond dogs and cats, and include animals such as livestock and some wild creatures. It’s always touchy when it comes to animals being raised as a food source or hunting versus animal rights, but there is a clear set of rules that protect animals’ rights both at home and in the wild. Hunting is legal in all 50 states, but there are rules and regulations that prohibit over-hunting and the preservation of native species. The Animal Welfare Act was signed into a U.S. law in 1966 and regulates the treatment of animals in research, exhibition, and transportation. 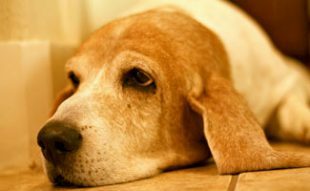 What Animal Cruelty Laws Are There? Like animal rights laws, cruelty laws vary depending on what state you’re in. 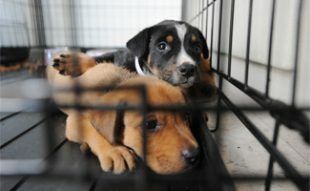 According to the American Humane Society, “Anti-cruelty laws exist in all U.S. states and territories to prohibit unnecessary killing, mutilating, torturing, beating, neglecting and abandoning animals, or depriving them of proper food, water or shelter.” For a more detailed list of your state’s laws as they apply to animal cruelty, visit ASPCA. All 50 states consider animal cruelty a felony in one form or another. Laws include neglect, physical abuse and unlivable housing conditions. 43 of 50 states have a zero tolerance policy, and would convict someone on a first-time offense. Animal abuse is an epidemic that is not going away without people doing the right thing and speaking up. The only way we can start to correct the problem is by deciding to take a stand and let people know that it’s not OK to mistreat or neglect animals. 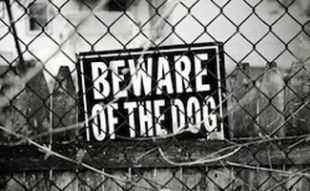 If you suspect a neighbor is abusing their dog, start by offering to take it on walks or to the park. This way, you can subtly communicate that the owner is doing something wrong without accusing them. If they don’t take the hint, then there are other options for helping the pet out of harm’s way. If an animal is in immediate danger, contact your local police department and report the situation. In a dangerous situation you can also contact PETA (757-622-7382, option 2) to report the situation. There, you can discuss what information you have and help determine the best path forward. If you see something, speak up! Animals need strong people to have a voice for them and to tell people the abuse needs to stop. Watch the video below for more information about how to report abuse of living creatures. I think this is horrible! Why would people do such a thing! In Montana where I live, I see dead cats and dogs on the road… it’s horrible. I want to help! I adopted an abused puppy and when we first got her she was scared of everyting, now that she has me, she is happy and playful. We did find out because she was abused she has anxiety issues so sometimes she will be shaky but I still love her. The reason I adopted her is because I know what it feels like to be abused. I was abused by my biological parents for 2 years then finally I got help and I got a great family who loves me, and that I feel safe in and thats what I wanted for my puppy I wanted her to feel safe like I did. 🙂 I do get scared easily like my puppy but at least I know i’m safe. Its happened to me before too. I witnessed my old next door neighbor beat his dog with a broom for digging holes in the backyard. The cops came..I reported it, they went over to check on the animal..it was limping and whimpering and scared..they took the dog away and put it back in the pound..and left..they didn’t charge the guy..they didn’t even take his statement..Nothing happened to the guy. I was so mad. Later I found that the same pup was put up for adoption..So..What any smart human would do. I adopted the little guy and he has become a part of my family for 5 years now. He’s a Golden mixed with husky. What you did for that puppy was so selfless, you saved him/her so much pain that could’ve happened if you didn’t step in and stopped it from ruining the little guy’s trust towards people, so you pretty much saved his life. I agree with you. NO MORE ANIMAL ABUSE! The guy should have been charged with animal abuse. Animal abuse is sad and i’m sad to say it happens a lot and it needs to stop people think its fine but its not the laws have to be stricter,animals are living creatures and have emotions its sad to see people tear that apart. i hate animal abuse. its sad. witnessed animal cruelty before, the guy went to prison for like 5 year for what he did, and the dog didn’t survive. Scared me for life. helped with my news report. When you treat an animal like trash ………… you know that dogs and cats and animals are like human because they live if you treat them bad your treating a human bad I’m going to loose my mind and feel empty if it keeps going on. I had a dog named Atrais who went through all of this,it was heartbreaking and I would donate something but I am not old enough, but when I do grow up I shall donate heaps. Asia is the worst when it comes to animals. Im only 10 and these things people do to animals are just terrible. How can hurting a animal/creature please someone? this is for a podcast assignment. Before I answer this I want to state that these are my assumptions and not how I or Canine Journal feel about animal cruelty. We do not think animal cruelty is okay in any scenario and feel that there is no reason for a person to hurt an animal at anytime. One reason someone might hurt an animal is because it makes them feel powerful. Animals depend on us for food, shelter and affection. We are the center of our dog’s world. Our dogs are a big part of our life, but we also have other elements (friends, work, exercise, hobbies, etc.) and we do not depend on our dogs for everything. Our dogs on the other hand, wait for us to come home, wait for us to exercise them, wait for us to feed them, etc. This type of power can be abused in the wrong hands. Some people may feel belittled in other aspects of life and having control over their pet makes them feel strong and superior. However, if you ask me, abusing an animal doesn’t make you powerful, strong or superior — it makes you weak, mean and cruel. It is horrible to see all of these sad cases. Just like the one where someone attempted to drown a dog in glue then let their kids throw it in mud for fun. Is that really fun? What if it was done to you? It hurts my feelings everyday. It makes me sick to see all of thes animals being treated like that. It’s not only dogs it’s cats, horses,etc. I’m only 13 and I want to make a difference in the world. And make it a better place. But sadly not just one person can do it so I need help. I have a [pet dog and hate to see this happening.